I’m an organic vegan Yoga Coach ( trained Yoga Therapist!). My core approach is anything is possible. I naturally embodied yoga in a very lucid manner since childhood and delight in the play of form. Though the asanas came much later… I left a life that included a ‘career/ work/ hedge fund lawyer’ to one where I live my Love. My Passion guides and informs every action and this ‘all-encompassing vision’ creates love and absolute joy… but most important is the Universality of what I do. I am spontaneous with an original integrated approach to yoga, that involves dynamic connective energy. “CYoga is this ‘Magic Moment of Involvement’ with Love/ Yoga; brilliance in any situation.” Its fun! 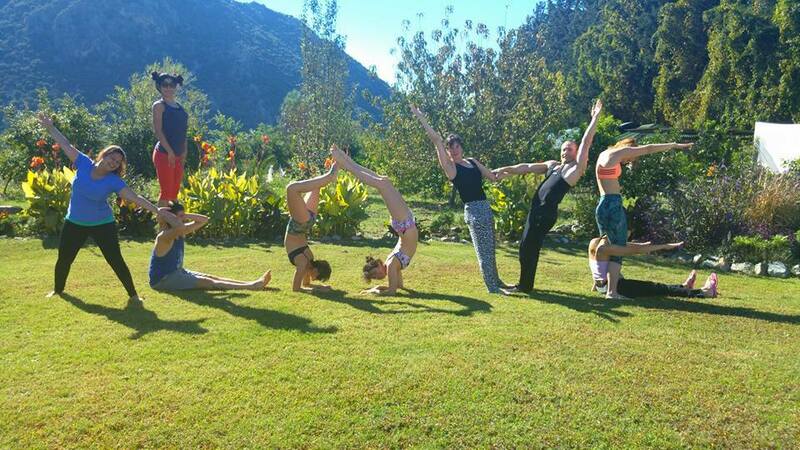 I have a Complete Freedom approach and conduct all types of classes including one-on-one and group yoga, master classes and Yoga training intensives at some of the world’s naturally beautiful locations. Many of the Intensives I offer and co-create with others are backbend and handstand focused. I study many styles of yoga and handstands from the inside out and transform weaker areas in one’s yoga practise to one’s greatest strengths …always expanding with passion..